Who isn’t fond of chocolate, no matter if you’re young or old, boy or girl? Chocolate is our sweet sin, our little delight that not only helps us to indulge ourselves a bit, but also helps us stay young and beautiful. For instance, a chocolate facial mask can help you lighten your skin tone because of their antioxidants, while the lactic acid significantly smooth’s your skin. 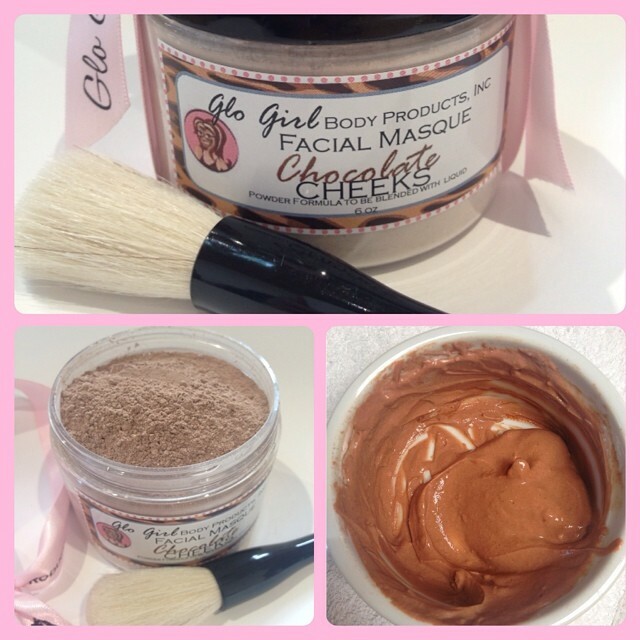 This if you can resist and not eat your chocolate facial mask before it works its magic for you! Lavish your skin with our indulgent do-it-yourself chocolate facial. It's a luscious treat for your skin and is suitable for all skin types. 6 oz - Dry powder comes with complete mixing instructions. Simply mix with your favorite liquid as directed. Great fun for your Chocolate Spa party! Ingredients: cocoa powder, oatmeal, rhassoul clay, coconut milk, arrowroot powder, honey powder, cocoa absolute.